Poster A1 folded to A4. Ed. 100 +7 AP. Signed and numbered. 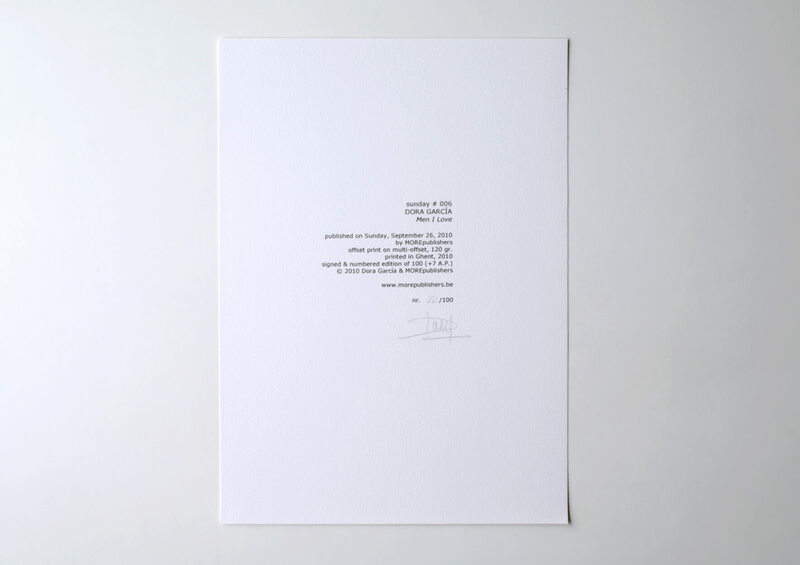 This edition refers to Dora García’s exhibition held at ProjecteSD in 2009. In García’s words, “Men I Love is conceived as a one complex work” and emerges “as a reaction, homage, comment or continuation to the work of a number of male authors”. Robert Altman, J.G. 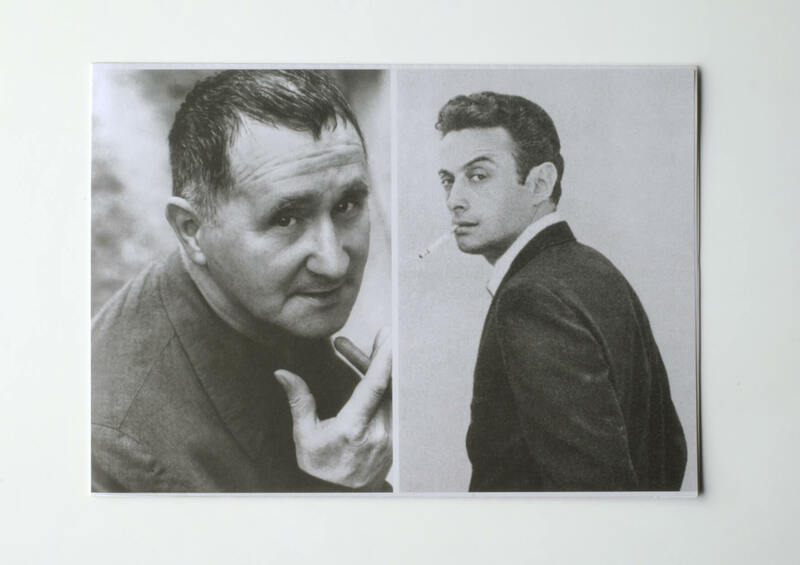 Ballard, Bertolt Brecht, Lenny Bruce, Geoffrey Carey, Charles Filch, Peter Handke, Abbie Hoffman, William Holden, Wolfgang Huber, Andy Kaufmann, Daniil Kharms and Martin Kippenberger make up the list.